It is January and goal setting is on everyone’s mind. Have you scheduled goals you want to meet for 2016? It’s not easy to get everything achieved in one year. This year I’m working on writing two books. But what about your characters do they have a big goal? Sure they do. They want to get to the end of the book in one piece if you’re writing horror, married if you're writing romance, or if science fiction is your genre may be taking over another galaxy . That’s the major goal of what your character wants out of his/her/its life. Your character can't reach that goal in one day. Just like your days are ordered with “to do” “must do” and “do I have to?” goals your characters’ lives should look the same. Let’s take my character in A Time to Dance- 2016, Deni, wants to start her life over in a new place but things don’t go well for her. It’s not so easy to pick up and move to another state. And someone doesn’t want her living in her new home. Deni must attempt to achieve something in every scene that leads her closer to staying in the house she loves. Each scene has a goal that will propel her toward the big goal of keeping her home. 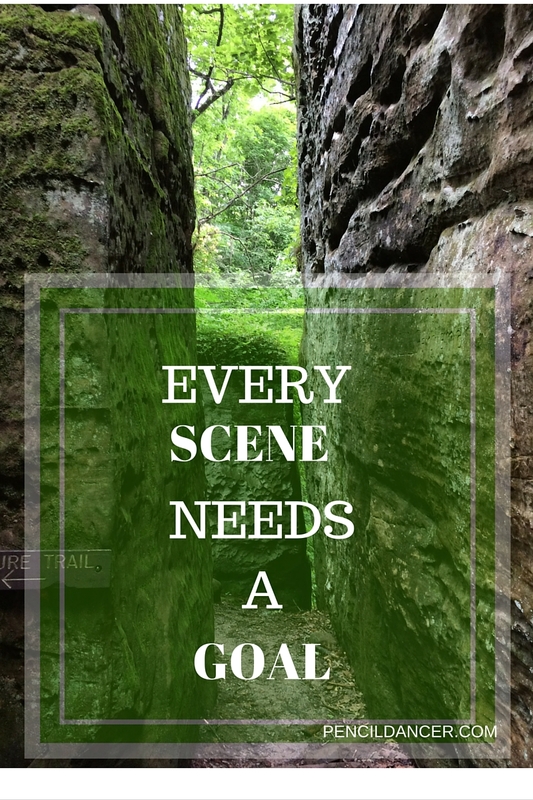 Every scene must have a goal. If it doesn’t, you have to cut it from the manuscript. Readers want to cheer your character forward all the way through the book. *A goal is not making toast and eating it. It’s not enough to say, my character needs to get to work. Show me why. In Miss Congeniality (the movie) Gracie Hart’s goal is to protect and find the person threatening the pageant girls. That’s the big goal. Her first goal to move the story forward has nothing to do with finding the villain. It is to look amazing so she can take part in the beauty contest. Is it easy for her? No. She can’t even walk in heels. Pull out your work in progress and look at your scenes. Do your characters have goals that push or pull them away from what they want to achieve? Tweet: Every scene must have a goal. Tweet: A story goal is not making toast and then eating it.